As the world grows increasingly ad-phobic, Hulu is taking an almost native advertising tack with its newest commercials. Unlike ad-free Netflix (though that’s in question lately), with Hulu, ads are built into the platform even for some paying subscribers. So, to charm those shelling out $8 per month for a light ad load, Hulu is rolling out ads that match the themes of select original shows, starting with its new original sci-fi series The First. 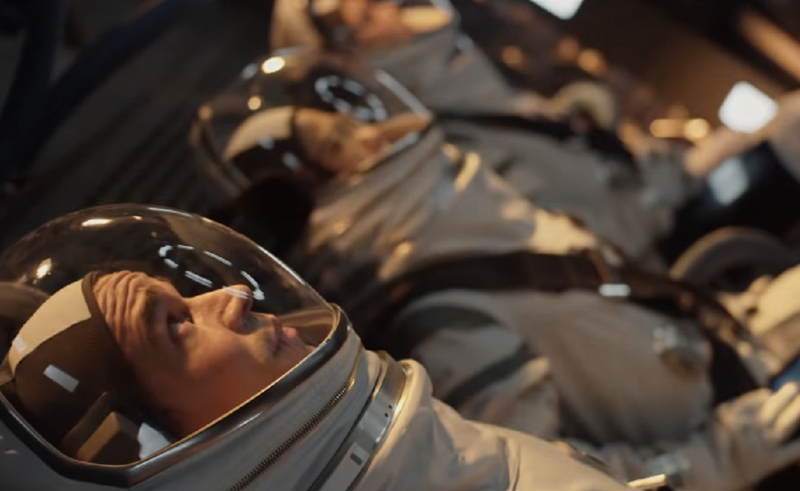 Conceptualized and overseen by House Of Cards creator Beau Willimon, The First is about the gritty, intimate business of getting to space. Set in 2030, it follows five astronauts and their complicated personal lives as they prep for a mission to Mars. The ads that are paired with The First are made by Hulu for SunTrust Bank, and are specifically designed to fit in with the show’s aesthetic and messages. For example, one follows a woman through her life as she goes from a child playing an astronaut to an adult on the first Mars spacewalk. Netflix has dominated the original series sector with powerhouses like Orange Is the New Black, Stranger Things, its entire slate of Marvel original series, and of course the aforementioned House of Cards. But Hulu is breaking more and more into the original space, particularly since the platform hit it big with its series adaptation of Margaret Atwood’s dystopian novel The Handmaid’s Tale. The series became the first digital original show to win an Emmy for Outstanding Drama Series.